Early variety with numerous side shoots after main harvest. Packman Broccoli produces a head with good-sized domes and medium beading. Its mild flavor and tender shots make it a natural for eating raw or cooking. Very nutritious and rich in vitamins and fiber. Comment: This was my first order from GrowJoy and I couldn't be happier. The Broccoli plants were delivered when they said they would be and they were very healthy. The plants were a beautiful dark green and the packing material kept them in place. I have now ordered other plants from GrowJoy and they are my new go-to web site for my garden. "Bigger broccoli plants than I expected"
Comment: Sure nice plants. One already in flower after a couple of days. Comment: Fast shipping! 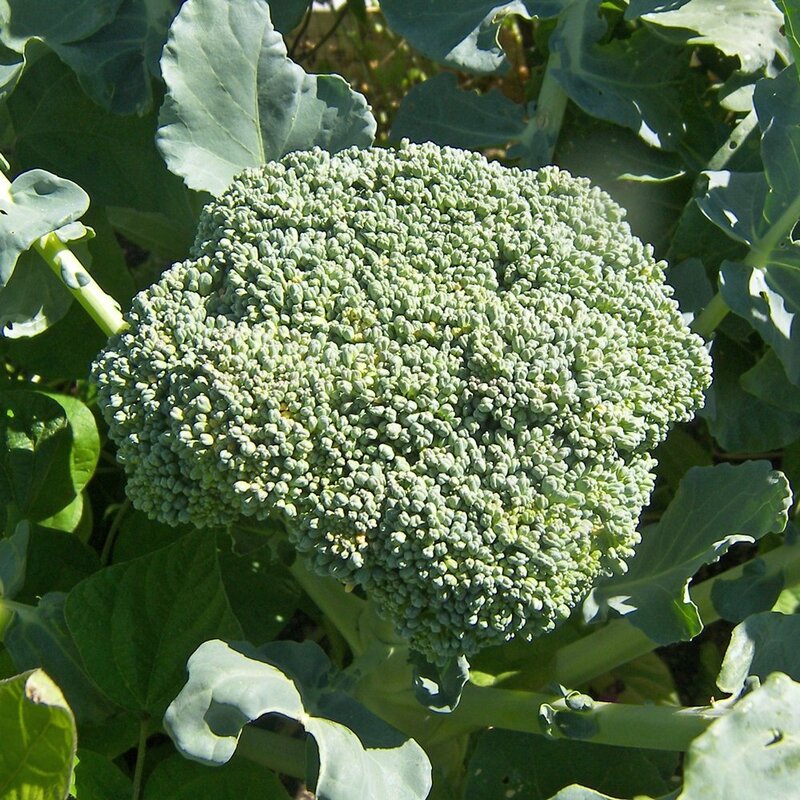 Broccoli plants look very healthy and have been planted! Thanks! Comment: Excellent- Broccoli plant arrived quickly and seems to be doing well now planted! Comment: First time ordering broccoli plants online! I would definitely do it again! I wasn't sure what to expect, but they came in perfect condition! Healthy plants, ready to plant. Very pleased!! "More Bang for the Buck!" Comment: I love to grow Broccoli. The Packman is hardy and in the fall there are no bugs to contend with so it is easy. Broccoli is where you get more bang for the buck. Since all of the Broccoli is edible, we get the shoots, and any weathered leaves go to my daughters guinea pig. Comment: Beautiful plants. I tried growing Broccoli from seed....I got plants but they never produced. These plants are strong sturdy limes and healthy leaves. This company is GR8. The plants are healthy and strong stock and the shipping is A+ and to top all of that off...customer service is the best. Love these guys and the plants I buy and grow from them too! Comment: Last year we purchased this variety and had some of the best yields ever from our plants. Expecting the same from this year's beautiful plants.